AT&T has won its $85 billion bid to acquire Time Warner, Inc., overturning Justice Department opposition in a court case and completely rejecting allegations the merger was anti-consumer and would raise prices by suppressing competition. The favorable decision is expected to signal the business community the time is right for several more multi-billion dollar media mergers. U.S. District Court Judge Richard Leon ruled the deal can proceed without any consumer-protecting deal conditions, and warned Department of Justice lawyers not to appeal if the purpose was to stymie the deal from closing before the companies’ agreed on deal expiration date runs out, saying it would be “manifestly unjust” and damaging to the faith of America’s shareholders and business community. Leon read his decision to a packed courtroom, telling the government’s lawyers they had failed to prove their case the merger would harm consumers. Observers called it one of the worst antitrust court losses the Justice Department has faced in its history. During a six-week trial held this spring, the government argued AT&T’s combination of DirecTV’s 20 million subscribers with its own U-verse TV customers, and its ownership of Time Warner’s pay television networks including HBO and Cinemax and Turner Broadcasting’s news, entertainment, and sports networks, would give the phone company too much power, allowing AT&T to unfairly raise prices for competing cable, satellite, and online streaming companies. AT&T acquired DirecTV in 2015, but regulators were already concerned about AT&T’s size, only approving the transaction with deal conditions. AT&T argued it was willing to offer arbitration to make sure its competitors received fair deals, and volunteered to not cut off TV networks from customers during arbitration proceedings to resolve contract renewal disputes. The decision has dramatic implications far beyond the merger at hand. Waiting in the wings are other media companies, Wall Street bankers, and advisers waiting to begin a frenzy of other blockbuster merger deals. Had the court blocked the merger, it would send a strong signal that the Justice Department’s case against vertical integration mergers — when companies buy other companies they do business with — has standing. The total defeat of the Justice Department in today’s decision may make government lawyers hesitant to challenge future vertical integration deals. Comcast’s all-cash offer for a large part of 21st Century Fox is likely to proceed now that the AT&T-Time Warner merger was approved. More telecom industry deals are expected to emerge later this year. The Trump Administration’s choice to oversee antitrust cases — Makan Delrahim, sent signals to Wall Street that he is still inclined to be pro-business on merger transactions, telling reporters most proposed transactions were either good for consumers or neutral — a view consumer advocates generally oppose. If the merger is completed, AT&T will now be the country’s largest pay-TV distributor, controlling more than a dozen “must-have” TV networks that competitors cannot afford to be without. The deal will even affect the wireless industry’s competitive landscape. 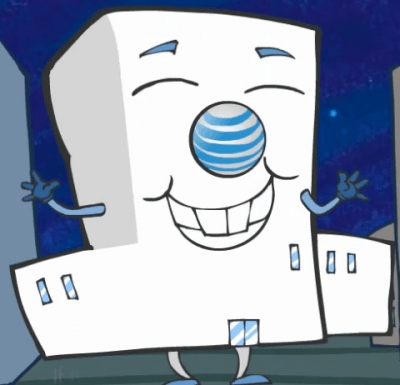 AT&T’s unlimited wireless customers are expected to be given exclusive free access to a bundle of channels filled with Time Warner-owned content.